Detective Joseph Vigiano was killed in the September 11, 2001, terrorist attacks while attempting to rescue the victims trapped in the World Trade Center. He was assigned to ESU Truck 2. Detective Vigiano was one of the department's most decorated officers. He had been shot and wounded on three separate occasions during his career. 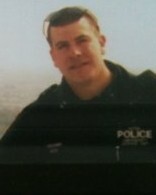 Detective Vigiano had served with the New York City Police Department for 14 years. He is survived by his wife, also a NYPD officer, and three young sons. His brother, a New York City firefighter, was also killed in the attack. 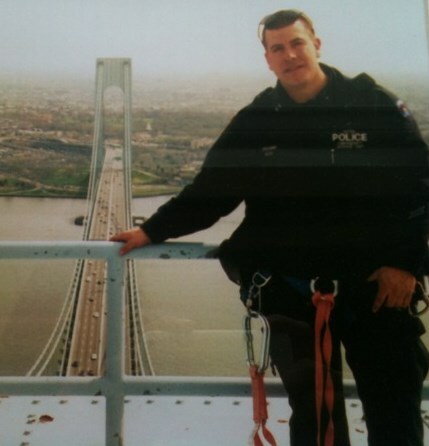 Detective Vigiano was posthumously awarded the New York City Police Department's Medal of Honor for his heroic actions. Thanks to Officer Kathy Vigiano for posting the link to the video Twin Towers. I had posted a reflection for Joseph years ago and the last couple of weeks I have been trying to double check if I had listed a reflection for all our 9/11 heroes and spotted your share of the link. How very proud you and all your family must be of Joseph and John. Thank you also for your service as a law enforcement officer. I will keep you and your family in my prayers.